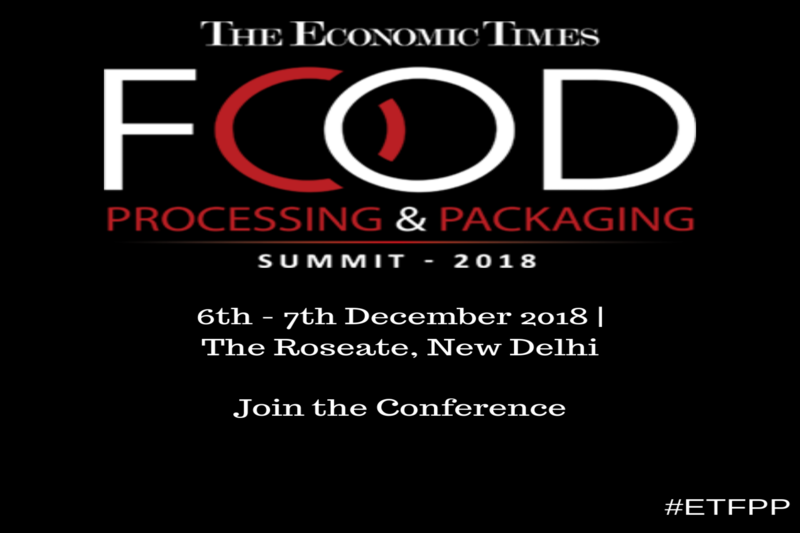 Association of Food Scientists & Technology of India [ AFST(I) ] cordially invites you to attend The Economic Times Food Processing and Packaging Summit scheduled to be held on December 6th& 7th, 2018 at The Roseate, Aerocity, New Delhi. The Indian food processing industry accounts for 32 per cent of the country's total food market, and India’s vast agricultural resources alone holds huge investment potential. Given the opportunities ripe for the picking, “The Economic Times Food Processing and Packaging Summit” will help leaders in better understanding how to heighten the global competitiveness of India's food processing and packaging sector. With over 120+ CEOs, Presidents, Ministries and Policy Makers from these sectors making their presence felt, this is an ideal platform to strike upon innovative strategies that can be implemented. To take advantage of this powerful Summit, as our valued business associate, the organizers are offering a flat 50% discount on the limited seats that are available. Nc Saha, Director and principal executive officer, Indian Institute of Packaging, Board Member-World Packaging Organisation Vice President-Asian Packaging Federation.